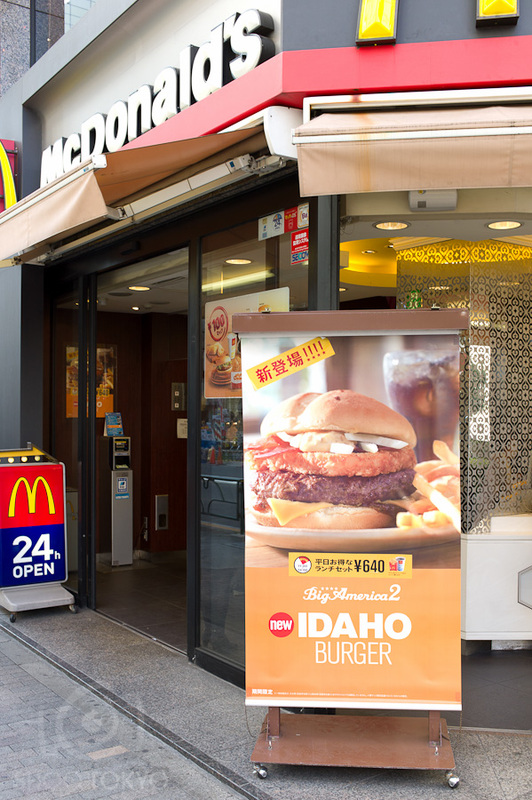 I walked by McDonald's again today during lunch and noticed they are charging ahead with their 'Big America' campaign bringing Giant american sized burgers to the Japanese masses. The newest edition is the Idaho Burger featuring a giant burger, cheese, onions, and mustard sauce, topped with bacon and a hash brown weighing in at 713 calories. You can complete your meal with a large fry and coke for an additional 750 calories for a whopping 1,463 calories. ...Wow!